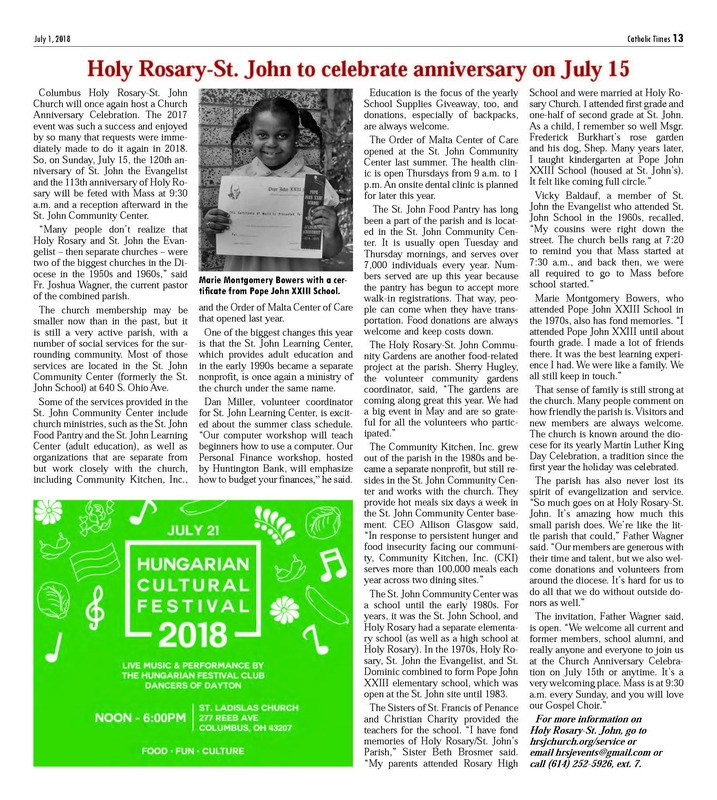 Thank you to the Catholic Times for a great article about all that goes on at the church and St. John Community Center, including information about St. John Learning Center classes. To sign up for a class (or to volunteer), contact Dan Miller at sjlc.coordinator@gmail.com or call 614-547-2171. Please call or email in advance to sign up as dates/times may change.